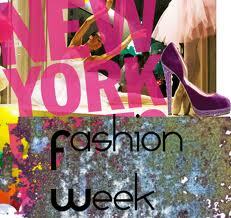 New York City Fashion Week is a world famous event and allures fashion addicts from across the globe to the Big Apple. It is the biggest annual event for top fashion designers, creators, brands, celebrities … etc. Countless number of people dream of going to this prestigious show, which started on the 9th of February this year, to get a taste of the elite world of fashion. New York City also played host to the Mercedes Fashion Show this February 2012, launched by the famous car brand. This is a huge event for fashion fans as they get the chance to meet all the top international names in the industry. Thus, this is a great time to visit New York during its transformation into the fashion capital of the world. In terms of fashion, anything goes at this time of year! If you are a fashion fantatic then we recommend that you head to New York for one of the biggest fashion events of the year. FeelNYC with all the luxury limos reigning supreme and the fancy hotels bursting at the seams, as well as all the bars, restaurants and clubs filling with the fashion elite! You never know. You may find yourself sitting beside Kim Kardashian, dancing with P.Diddy… or even sipping a refreshing martini beside George Clooney. There are many great places to visit and explore in New York City including Manhattan, Central park, the Statue of Liberty and Chinatown, amongst many others. New York is just full of stunning places to see, each with their own individual charm. The neighbourhood Little Italy comes highly recommended. It is a great area to have a wander around in, as well as enjoy some excellent food and do some shopping. Soho and Greenwich Village also have a lot to offer. Celebrities and the elite live in these fresh, chic areas. It is a MUST see during your time in New York. Don’t forget to take your camera because you never know who you might come across! They are also centrally located areas meaning that you can access New York tourist sites quite easily from there. 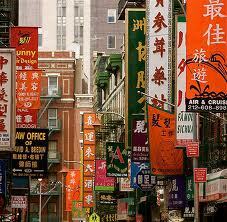 Finally, FeelNYC´s Chinatown! 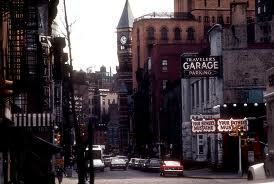 This is a world famous district in New York City, so make sure you don’t miss out. It’s a great area for experiencing the culture and enjoying some great food.